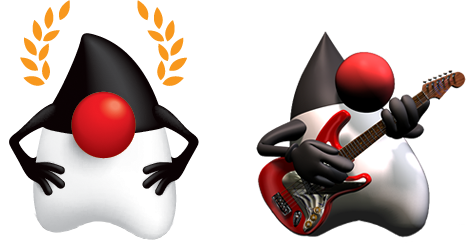 In this third installment of Introduction to Groovy (part I, part II) we will continue looking at some features of the Groovy language. Some you may find them on other languages, but some are exclusive to Groovy. Before I get slammed with hate-mail I know there are better ways to sum numbers in Groovy, this example is just to show varargs in action. If you remember your math lessons from school, the straight line formula is y = mx + b where m is the slope and b is a constant. When you solve the equation for m you may find the value for any point in the space (x, y) with an optional offset (b). This technique allows you to communicate in a better way what’s the meaning of each parameter, but at the same time sacrifices any attempt to refactor and know which parameters are allowed just by looking at thye method signature. Thus makes the use of proper code comments a critical issue (we all comment our code right?). The name of this section is just a play of words (unfortunately section 2 did not follow the * parameters as it did in the Spanish version) because what I really want to say is known “currying“. Currying is a technique that transforms a function (in our case a closure) into another one while fixing one or more values, meaning that the fixed values remain constant for each invocation of the second function. Think “constant parameters” for the second function. First we define a closure with 3 parameters (with dynamic types) and what’s more, the parameter b has a default value of 0, meaning that you may call the closure with just 2 parameters (another feature found in other languages like PHP). After asserting that the implementation of getSlope is accurate we proceed to curry it with x = 5, meaning that all calls to getSlopeX will have x = 5. So if we call getSlopeX(1) y will have 1 as value and b would have 0 as value (remember the default we assigned). And if you call getSlopeX with two parameters, then the second will be b’s value. In the second part of this series, we saw how Groovy enables operator overloading. This time we will take a look at other operators you may not see in Java. The first one is known as spaceship operator because if looks like a little UFO (<=>), it is of binary type (accepts two arguments) and executes a comparison, making it ideal for sorting algorithms. To enable its use with a type in particular, that class must implement java.util.Comparable, which has the side effect of enabling the following operators too: <, <=, =>, >. assert "hello" == "hello" ? : "bye"
assert "bye" == null ? : "bye"
That’s all for the introductory material, I hope the features presented in this three part series have interested you in trying Groovy. In later articles I’d like to talk about Builders and the MOP (Meta Object Protocol), two advanced features that Groovy has to make life easier this side of Java.